Spring is in the air and we all know whats coming soon for many school/college leavers... PROM! There is one thing I regret about being a teen and that was not going to the prom which is such a big shame because so many said it was one of the memorable days of their lives. The biggest reason I didn't go to prom was the cost of the dress and I didn't want my mum to spend too much money on a dress that going to be used only once. That's where this post comes in! 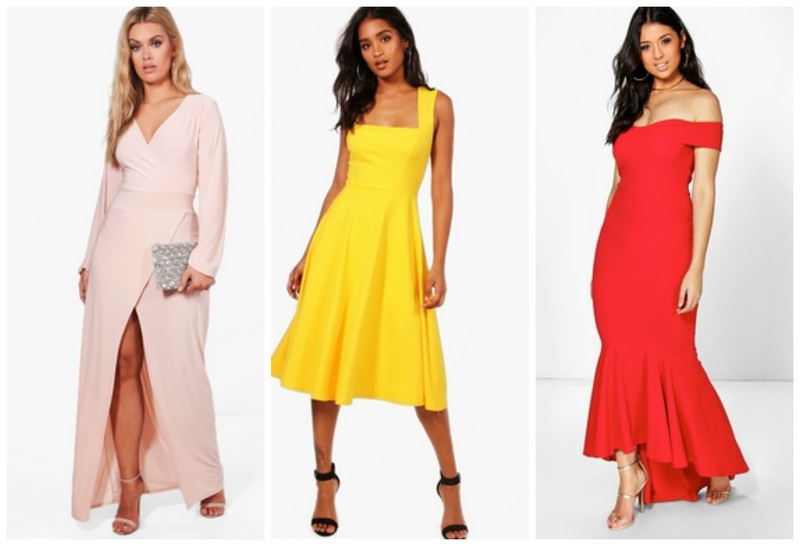 Boohoo have so many dresses that are perfect not just for parties but also for prom too. They have many dresses to choose from and not only that they have the shoes and accessories to choose from too. 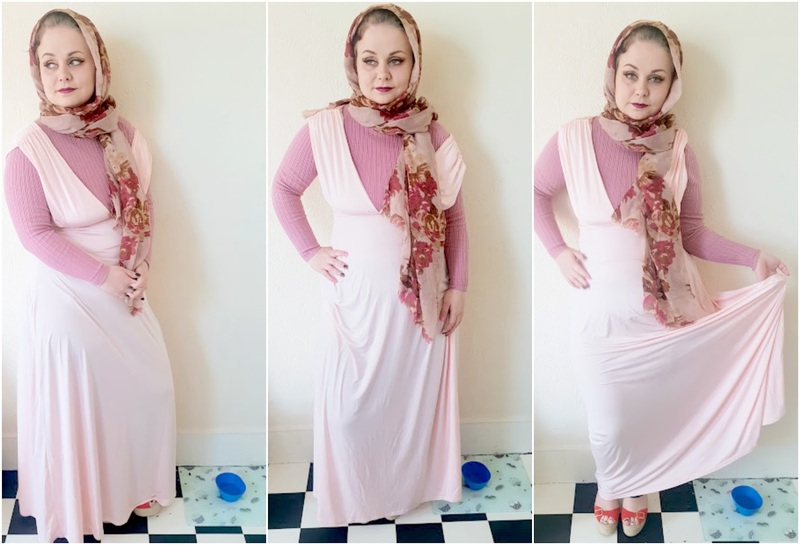 As you can see I have styled the dress that Boohoo has kindly sent me with a dusky pink jumper and put on a floral scarf which goes really well with the outfit don't you think? I bought this in petite as I am 5'3 and find it hard to find maxi dresses that aren't too long for me, this one is fine paired with heals. I was pleasantly surprised with the amount of choice of prom dresses available they are many different types. to choose from including maxi dresses, skater dresses and dresses with lots of detail like with lace and sequins, they are dresses for everyone. 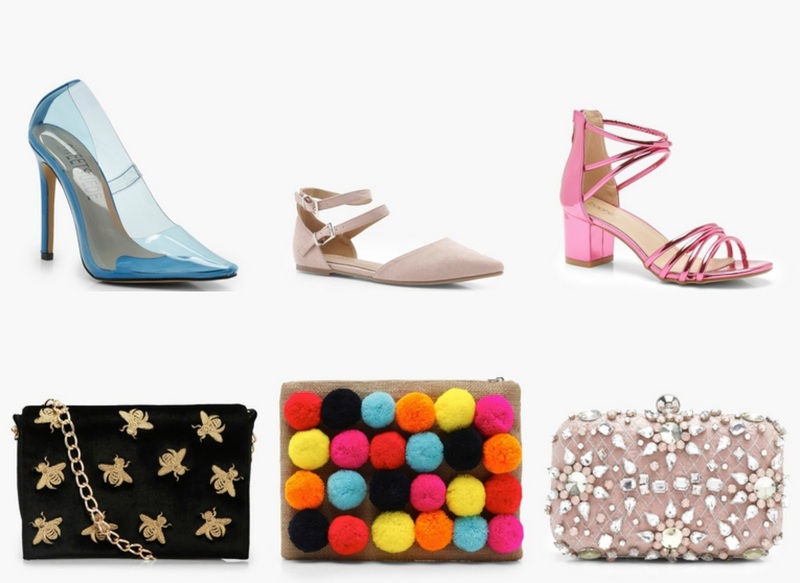 I just had to show you some of my favourite dresses and accessories that are all budget friendly. This has to be my favourite dress of all, it has Jessica rabbit vibes and looks like filmstar elegant without the hefty price tag. For more choices of dresses check out their prom dress category where they are 100s of dresses to choose from. What about shoes and accessories? Well, they have you covered there too and I have made a little list of my favourite products on their website right now. I hope this post was helpful to anyone who needed it. Has anyone been to prom before? Did you enjoy it? I'd also like to say I completely agree, boohoo has some great dresses. Some great picks on here! My girls are still a ways off from prom dress hunting but I am already semi dreading the expense haha! Will have to keep this place in mind!